The Spread in South Norwalk, CT is a popular restaurant for a Sunday brunch. When I went there with a friend, the restaurant was full and the noise level was high, filling with energy. We were sat down immediately next to a wall of plants. French press coffee. It was a pleasant surprise when the decaf coffee I ordered came with a French press. 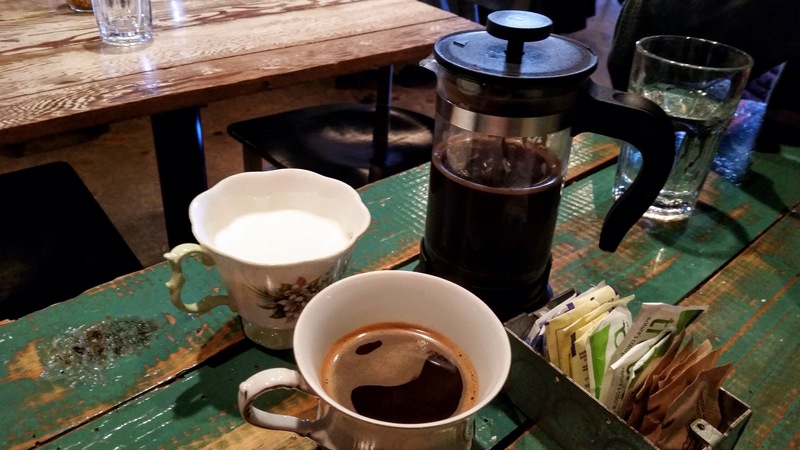 Even not so great coffees can taste better with a French press. I was really tickled when the coffee and the cream were served in delicate bone china. I straightened my back and sat up properly! See the sugars? The container for sugar was an electrical socket box. 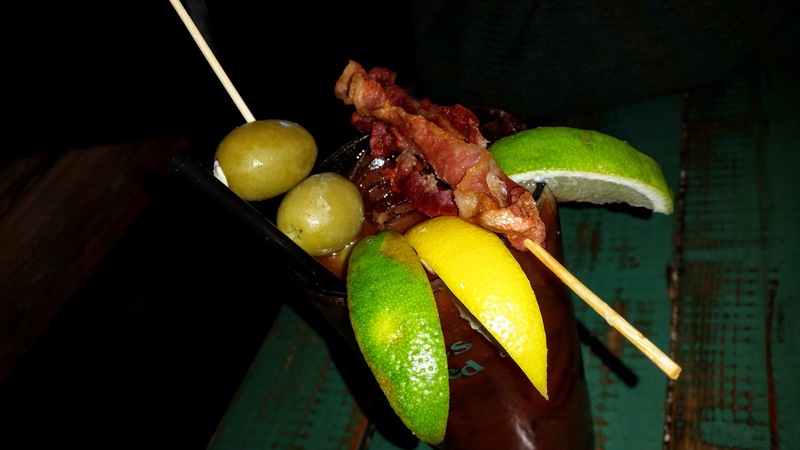 Bloody Maria with bacon, tequila-spiked! I think it’s a little weird but who am I to judge? 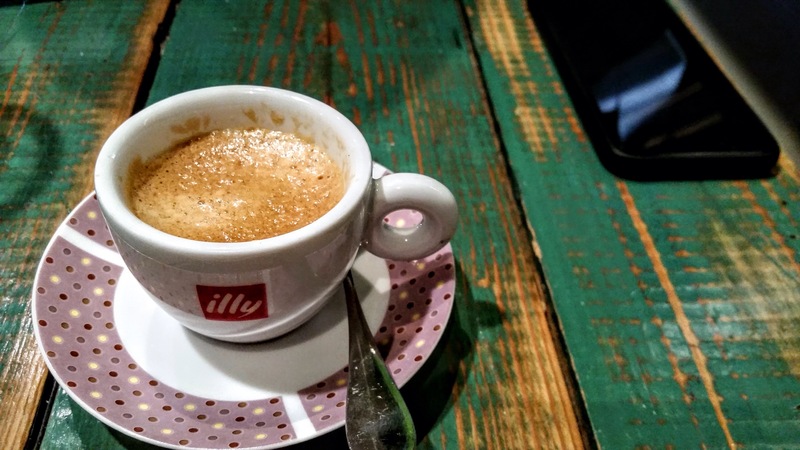 illy espresso. Bone china saucer plate with the thick illy cup. 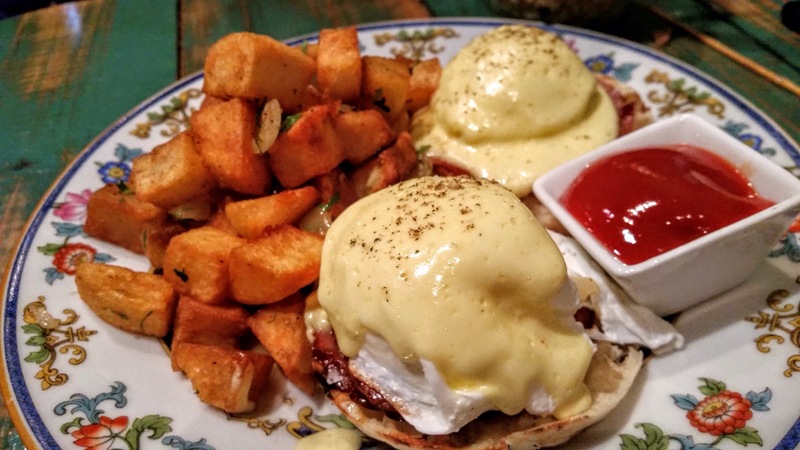 ALASKAN BENNY: poached egg | smoked salmon hollandaise | English muffin. This was ok. Just ok. The restaurant itself is an experience with the plants on the wall, the cute distressed wood tables and the fine china. It’s a little quirky, a lot adorable and very fine. For that, it’s worth going.